The color of a plum’s skin doesn’t offer any clues about ripeness. So how to tell when they’re ready to eat? Like other stone fruits, ripe plums should yield slightly when pressed. In general, the softer the texture, the sweeter the fruit. 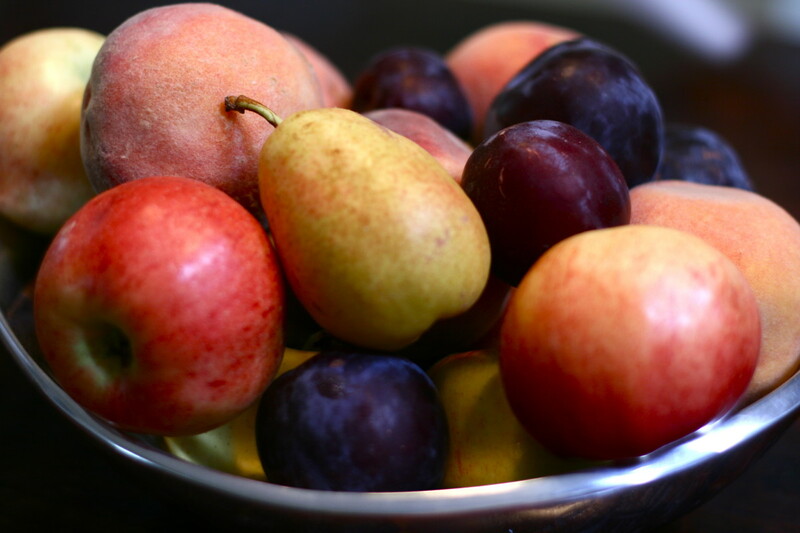 Eat ripe plums immediately or put them in the refrigerator (unwashed, not in a sealed bag) for use within five days. When ready to eat, wash and enjoy! To hasten the ripening, leave plums on the counter, out of the sun, in a paper bag with an already-ripe apple or banana. Check daily. Plums can be stored up to a month if placed in the refrigerator before they are fully ripe.